Considerations about the interpretation of music and the music style. And what is musical style? I think it can be explained as the impression reflected upon the music by the manners, customs, and modes of thought which were characteristic of the epoch when it was written. For, after all, people lived, loved and suffered every kind of emotion in former centuries just as we do now, only each period has had its diverse ways of expressing these things in the arts. What, then, do we mean by the interpretation of music itself for the purpose of performance? Is it not the employing of all possible technical means to infuse the spirit of life into the inanimate musical form, and cause it to be kindled into a definite sound-picture for the mind of the listener? On the pianoforte this is done by means of accents, variations of tone-values (crescendo and diminuendo), variations of rhythm (accelerando and ritardando), variety of touch, and manipulation of the pedals. 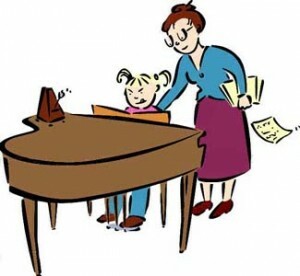 Accents enable the pianist to bring into prominence certain notes, or groups of notes, which might be comparable to cries, exclamations, interjections in the elocutionary art, or to sudden bursts of colour in painting. These and other similes could be followed up through the whole scale of human emotions, for the well-trained hand of the pianist, being the pliant tool of his imagination, represents to him what the brush does to the painter, or the voice to the actor. And many of the same aesthetic laws govern all these in their work as far as is possible, when the difference of circumstance and material is taken into account.